What if your not a US resident? Do you have to American to do it? If you are not a U.S. resident, you can apply for the International College Program. For the web based interview, just make sure you don’t rush and read each statement/question carefully. For the phone interview, make sure you know the roles you’re applying for very well, make sure you’re in a quiet space, have pen and paper to take down notes, and a little tip someone taught me–write down the name of your interviewer and thank them by name at the end of your interview. Is it a requirement to live in their housing? Like, if you live close can you just live at home? My daughter was notified that she has been accepted into the DCP. She is very excited since she hopes to eventually have a Disney career but a little disappointed because she was assigned to life guarding and she really wanted an “in park” assignment to help her make decisions for the future. Any advice? I would, of course, still encourage her to accept the position because this an opportunity that many only dream of getting. 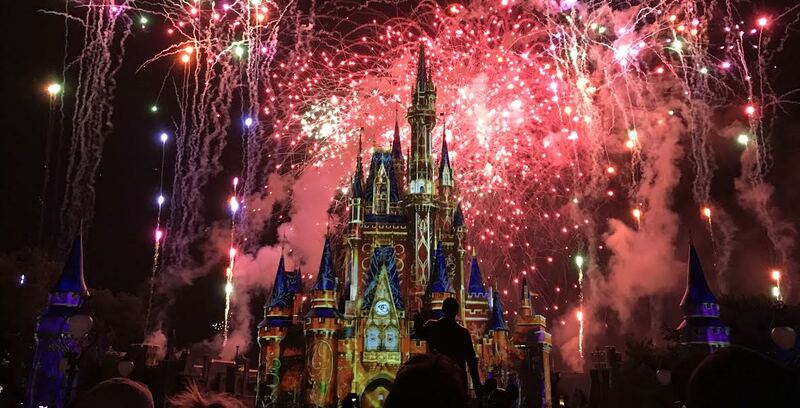 I also wasn’t placed in a park for my CP, and I think it was a blessing for me because it didn’t ruin any…”magic.” But you don’t need to work in the park to make decisions for the future–plus, there’s no guarantee she would work in the parks in the future either! Her program will be what she makes it, whether she’s super in love with her assignment or not. She just needs to keep a positive attitude and make it work for her. Thanks so much for your response. She is excited to get a foot in the door and determined to shadow as much as possible while being the best Disney lifeguard she can be! I sent in an application just after midnight and received an email back about an hour later saying thank you for applying, not everyone gets an interview due to the high volume of applicants, and that I would hear back by April 15th. Is this normal? Should I be concerned or do they usually send this before sending the web based interview? If selected, do you work ONLY in the job you are elected for? Any chance for working in other areas too, or switching to other jobs once there? Hi there, once you are selected and placed in a role you can ONLY work in that role. You can always try to pick up shifts in other locations but you cannot pick up shifts in roles you don’t have the training for. For example, if you are cast in merchandise, you can pick up shifts in any merchandise location but you cannot pick up shifts in attractions/quick service food and beverage/etc. If you don’t get accepted, will you get an email saying so? I’ve been waiting for a long time (my phone interview was in February and I still haven’t heard back). I have a lot of trouble logging onto my dashboard, so I can’t really check there, but I was just wondering if I don’t get it, while I get a rejection email? You do get an email saying you haven’t been accepted. You can only do it for up to a year. You get accepted initially for a 4-7 month program and you can extend, but you cannot be part of the program past a year from your original start date. The applications open in August and you must be enrolled in at least one college course when you apply. If you apply and get denied during that particular recruiting season, you cannot apply again during that season. For example, if you apply for Spring 2017 and you get denied, you cannot apply again for Spring 2017. However, when applications open in January/February for Fall 2017, you will be eligible to apply. Hope that helps! I’m in a community college right now to save money, but plan to transfer to a local university in the spring. What would my chances be of being accepted and/or when would be the right time to apply? Everyone has the same chances of being accepted- they aren’t better or worse depending on where you go to school. Tens of thousands of students apply every season and they only take a few thousand. As for the right time to apply, that’s up to you and where you are in your schooling. Just keep in mind that the last time you can apply is when you’re in your graduating semester so that you would start your program once you’ve graduated. I did the program in 2015 and realized that only 3 of 6 of my roommates were actually taking classes back at their colleges (including myself) I’m going again for 2017 and I wondered if taking a class back at your college was really mandatory? No, taking classes isn’t mandatory. I did it so I could stay somewhat on track to graduate. What a coincidence! I started humming “One Last Hope” as soon as I clicked on the Google link for your blog post! Even before I saw your lyric reference to the song! Hahaha you are quite the Disney fan! I wont be applying until I graduate, but, if I applied to both the Disney College Program and a Disney Professional Internship and (best case scenario) actually got accepted to both, would you suggest doing the DCP or the DPI? My dream is to be a software engineer (or whatever I end up deciding to do with my computer science degree) at Walt Disney Imagineering or maybe at either Pixar or Walt Disney Animation Studios, and I’ve heard that the DCP is the best way to get your foot in the door for Disney so that you have a higher chance of getting professional internships and careers within the Walt Disney Company, but, if I already get an offer from DPI, would it be better to just take that opportunity instead? Since my main end-goal is Imagineering, would you suggest doing the DCP in Disneyland or Disney World? I’ve heard that the California Program is nicer because it’s smaller, and, of course, it would be better for potential Imagineering networking opportunities, but the Florida Program offers many more roles, and Florida is much closer to home and my family. Also, do you know if DCP Cast Members at Disney World get roles at Epcot? And, specifically, at the France Pavilion? I am majoring in French (in addition to computer science), and I think having a role in Epcot France would be a cool way to apply that after college (so another reason I’m torn between Florida and California is that WDW has Epcot France but DL is closer to Imagineering and the animation studios). Then again, I guess Epcot isn’t the only place I can use French; no matter what role or park I’m in, French would be useful to communicate with native speakers. If you get offered a PI, take the PI. You’ll actually get experience in your field instead of going through the DCP in a role that won’t be relevant to your field of study. Also, the Disneyland program is significantly harder to get into, just so you know! And no- DCP cast members do not get roles in Epcot. You can take the language test and get a language pin but that’s it. For some it’s only an hour to a few hours later, but it can be longer. I applied for the Disney internship for the 2nd time and got submission. What does that mean? Some say it’s bad, others say it’s good. All it means is your application has been submitted. O that’s weird. The first time I applied I never got submission, just in progress. When will I know if I’m excepted? Well it doesn’t work the same every semester. And in the email you get after applying, it should tell you when you should expect to hear by. You won’t be automatically accepted- you need to go through a web based interview, then if you pass that you’ll get a phone interview. If you passed the WBI, you might automatically move to a phone interview IF they determine you are a qualified candidate. If you did not pass the WBI the first time, you will need to take it again. And you never skip the phone interview, so whoever told you that gave you incorrect information. If I reach the phone interview stage of the Disney College Program, what are my chances of getting accepted? You have a 50/50 chance. Tens of thousands students apply and they only select a few thousand. Just because you reach the phone interview stage, it doesn’t guarantee acceptance. Just make sure you’re fully prepared for the interview. Yes, you have to share a room and share a bathroom with at least one other person. Each complex is different so based on your personality and everything, that’s how I would decide where to stay! Hey! So I’m super interested in the DCP (Have been since I was, like, 15) but I’m worried about one thing: How many college credits can I actually earn during the program? I would love to participate, but I’m worried about it slowing down my schooling significantly. For reference, I’ll be a freshman Theatre Major starting this Fall. Hi! So you’ll have to consult an advisor at your school for this one. My school/major would not give me credits for my participation, so I took as many online courses through my school as I could and made up the rest over the next two semesters. I graduated ‘late,’ but it was well worth it. Hi! Thank you for this information! 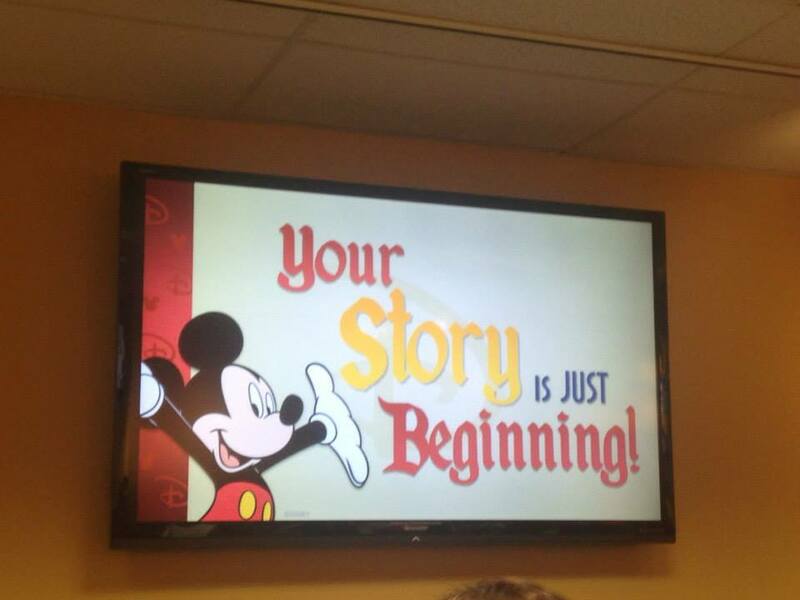 I am considering applying to the DCP in Orlando this fall in hopes of attending next spring. My question for you is: If I get accepted this year (as a sophomore in college) and decide I can’t attend, will declining the offer hurt my chances of getting in if I apply again another time? Thank you so much! That is so good to hear! Thank you so much for your quick and kind response! All the best! You’re so welcome! If you have any other questions, please don’t hesitate to email me! It’s in the about me section of my blog 🙂 Wishing you luck!!! I can’t wait for the application to open up in a week or two for the 2018 Spring program! My BFF got accepted into the Summer Program at the Disneyland Resort as a lifeguard and I’m SUPER jealous lol, fingers-crossed I’ll be able to get in too. Thanks for all the info! Well congratulations to your friend and good luck to you!! Hello! I actually just applied yesterday for the DCP as soon as the application for it was posted! I received an e-mail saying the latest I’d hear back from them is in November, but obviously I feel like it would be sooner. How long after submitting the application did you hear back from the company? Your blog has helped a lot by the way! Congratulations on applying, first of all! Normally that’s the email they send so that you know the general time frame. Since applications just dropped, I wouldn’t worry too much if you don’t hear right away. This was super helpful! I just submitted my application and I’m super nervous! Now we wait! Thank you again for this post! I’m so happy you enjoyed this post! Sending tons of pixie dust your way and if you need anything, let me know! I am an MBA student and haven’t been able to get into a Disney Professional Internship. Would it benefit me to apply for the DCP to get my foot in the door into Disney? My issue is that none of the positions would pertain to my future goals, but I’m hoping it will boost my chances for DPI next year. Disney Professional Internships are extremely competitive whether you’ve completed a college program or not. It’s possible that completing a program would boost your chances for a PI, but it definitely isn’t guaranteed. I completed a second college program right after I graduated and was, luckily, offered a PI the following semester. But I also applied to PIs when I was applying for my second program and didn’t get any, even though I had completed one program before. It really boils down to how right of a fit you are for the position, but I definitely recommend trying to get into the college program—especially if working for the company is within your future goals.